Gelato is refined, smooth, and richly-flavored in a way that other sweet treats can’t match. 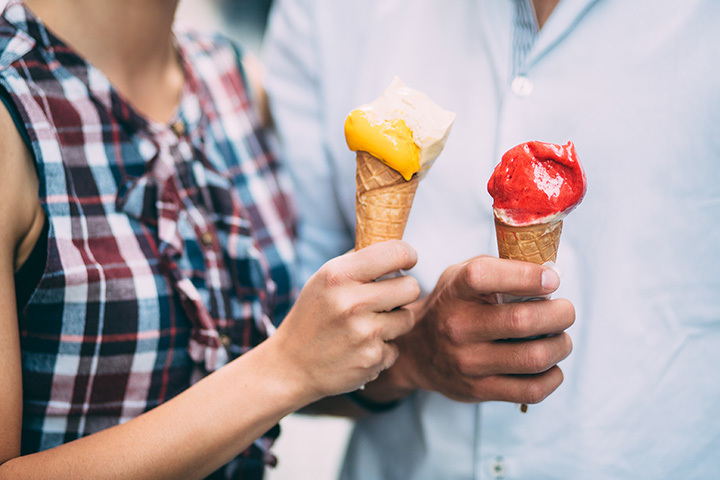 Across Delaware, you’ll find a variety of local spots whipping up some of the best gelato to ever grace your taste buds. Here are the 10 best places to get gelato in the state! This cafe offers gourmet Italian-American fare and a robust Wine Spectator award-winning wine list. But it’s the handmade gelato in an array of creative flavors, from chocolate hazelnut and salted caramel to pistachio, tiramisu, and caramel cashew crunch, that allows Caffe Gelato to like up to its name. Of course, homemade pasta and dinner items like lobster and shrimp gnocchi, and tenderloin tip tortellini don’t hurt, either. At Vincenzo’s get authentic house-made Italian dishes like stromboli, calzones, penne ala vodka with crab meat, chicken florentino, and more. But the magic doesn’t start until you hit the gelato menu. All gelatos are house-made, and flavors commonly include hazelnut, coffee, vanilla, mango, salted caramel, cookie cream, and peanut butter. Featuring sundaes, fountain sodas, and almost 20 gelato flavors. Get flavors like Black Cherry Zinfandel, Passion Fruit, Dulce De Leche, Tiramisu, Mascarpone Caramel Pistachio, Cappuccino Hazelnut, and more. At this small sugar shack, everything is made fresh, and many say it is also the best hard ice cream shop around. Established in 2016, Sweet Nel’s mission is to redefine ice cream by offering organic ice cream, homemade gelato, baked goods, and delicious coffee in one location. Freshly made on the premises, all ingredient are locally sourced and all-natural. Plus, gelato masters are on-site to field questions and comments while they work. Established in 2003, Maureen’s features Bassett’s Ice Cream, which is pretty much an ice cream institution around these part. The self-proclaimed, “America’s oldest ice cream company” was born in Philly in 1861 and is still family-owned. But, sadly (and strangely), what goes unnoticed here is that Maureen’s makes some really great gelato in flavors like espresso, coconut chocolate, pistachio, and more. At Rita’s, they believe that everyone has the right to indulge in cold treats, like Italian ice and frozen custards. Icy, smooth, and delicious, all of Rita’s products are made with real fruit and served within 36 hours of mixing. Offering Blendinis, milkshakes, Sundaes, frozen drinks, custard cakes, gelato, cookie sandwiches, and more, Rita’s has something for everyone. Opened in 2016, Twisted Frozen Yogurt offers a continually rotating selection of delicious froyo flavors and over 80 toppings to choose from. At this colorful shop, you'll find a variety of low-fat, fat-free, gluten-free, sugar-free, and dairy-free options, including gelato in flavors like chocolate chip cookie dough, hazelnut, creamy limoncello, mocha cappuccino, yellow cake batter. Established in 1942, the Green Acres Farm houses Hopkins Farm Creamery, and the rich, creamy 14% butterfat blend they use leaves no room for air, producing a gelato-like experience on a decidedly high-fat scale. So get homemade ice cream from the folks who produce the milk, and try flavors like pumpkin cheesecake, apple pie, brownie, moo cookies, and more. Wicked Worm Sundae. Available now through October 31st! Doling out the sweet stuff since 1972, King’s. Churning out quality ice cream on the Eastern Shore for more than 40 years, King’s uses fresh butterfat milk from local farms. Flavorings include fresh fruits, nuts, and candies are added as the butterfat milk begins to freeze. The ice creams, yogurts, and ices are then pulled from the freezers at precisely the right moment to ensure quality and weight, and the product is used within 24 hours. #BabyCone... where have you been my whole life?